Chinese Business Visa for a single entry on the two working days processing. (Valid for up to 3 months and a stay of up to 30 days, a visa of reduced validity will be provided to cover the necessary time in China, at the consulates discretion and depending on supporting documents provided on application). 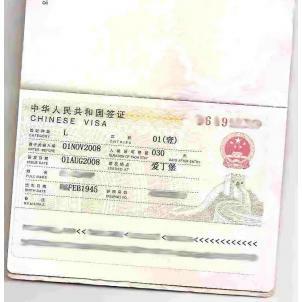 Chinese Business Visa for a single entry on the two working days processing.